Five years ago my wife and I said YES to Koinonia Institute… and we moved from San Diego to Idaho! Five years ago my wife and I said YES to Israel and our lives have never been the same! As KI enters its fifth year, we are blessed to report that we are closing in on 3000 Members, 1000 of them Bronze Medal-lion holders and 20+ Silver Medallions have been earned! We also are now represented in over 60 countries worldwide. And before too long we will have our first earned Golds! Early on, the Lord knew what would be in front of Sharon and I and then He gave my wife this wonderful verse and it has been an anchor for us during some very rough times. Now the question is what does the next five years hold…if the Lord tarries? More classes, more faculty members, but more importantly a Council of earned Gold Medallion holders! Also, a dynamic Issachar Database that will provide the Body of Christ with information and a Christian perspective of world events that cannot be accessed from our current secular media outlets. But our ultimate goal, as you have often heard me state, is that we would not just have brilliant Bible expositors and up-to-date prophetic reports but a company of disciples who are doers of God’s Word! Can you imagine what the world would be like if the Body of Christ took the offensive and began to INVADE the world? That my friend is what Koinonia Institute is really all about—preparing Christians to INVADE the world! Five years ago we told all who would listen to us that online learning was the wave of the future and that the Internet would be an amazing social outlet. Look what these last five years have given us—Facebook, Twitter and amazing interactive websites. We at KI see the future and are preparing for the video conferencing revolution that is coming. Besides this we are hoping and praying for more opportunities to partner with churches. Again we see the Institute as complementing and supplementing the local church, NOT replacing it! “Dan, once your feet touch the ground in Israel you are going to have the strangest sensation—you are going to feel like you are home!” Those were the words that Chuck Missler spoke to me six years ago and I really thought when I heard them that they were what I have come to call “Misslerisms.” The truth of the matter is that he was dead on! Israel is my home and we visit Coeur d’Alene about eleven months out of the year. No sooner had I returned from my first trip to Israel that I told the Senior Pastor of the church I was serving that we, in order to make disciples, need to take everybody to Israel! For me it made all the difference in the world—the Bible came alive and my life, as well as those who were traveling with us, were forever changed. Little did I realize that my wife and I would be given the blessings of co-leading three trips to Israel each year. Over the past five years we have been to Israel over ten times and have been able to design three different types of tours. At the time of this writing we are days away from taking three busloads (our largest in five years) over to Israel—this tour we call our Berean Tour. Immediately following this we will meet another group of people for our Talmidim Tour. The Berean is our basic tour to Israel and the Talmidim is our Work/Study tour. My guess is that we have taken over 1000 people to Israel with us over the past five years. From these tours we have started a ministry that I refer to as G12, be-cause our goal is to Bless Israel! Not only have we seen the sites but we have served on a variety of IDF Bases in the Golan. We have been at two different outposts on the Lebanese border. We were in Sderot and have overlooked Gaza. We have seen tank demonstrations and been briefed by Israeli commanders on the sites of miraculous battles. We have seen F16s take off from the floor of the Valley of Armageddon and have been hosted in the Knesset! All of this in five short years and who knows what the future holds as we look for ways to have a KI presence in the land of Israel! One of the biggest blessings for me is that there are those who have been to Israel who now have taken their own groups back! What a joy! All of this in five short years! 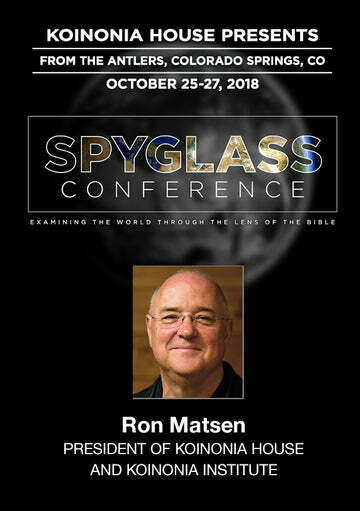 Now just like the uniqueness of Koinonia Institute is cetered in the Issachar Track, so too our fall tour (the Issachar Tour) is unlike any other. The focus of this trip is to acquaint our travelers with both the Israel of the Bible as well as the Israel of Today. This trip offers private briefings with the IDF, Knesset Members as well as members (active or retired) of the Mossad and/or Shin Bet. Remember in keeping with 1 Chronicles 12:32, it is our goal on this trip to be like the sons of Issachar, who understand the times and know what Israel has to do!